Language is extremely interconnected with politics and the ways of the world, in this respect it is valid to say that it is a living system at the mercy of outer influences. It evolves as civilization does, however can technology be detrimental to communication? 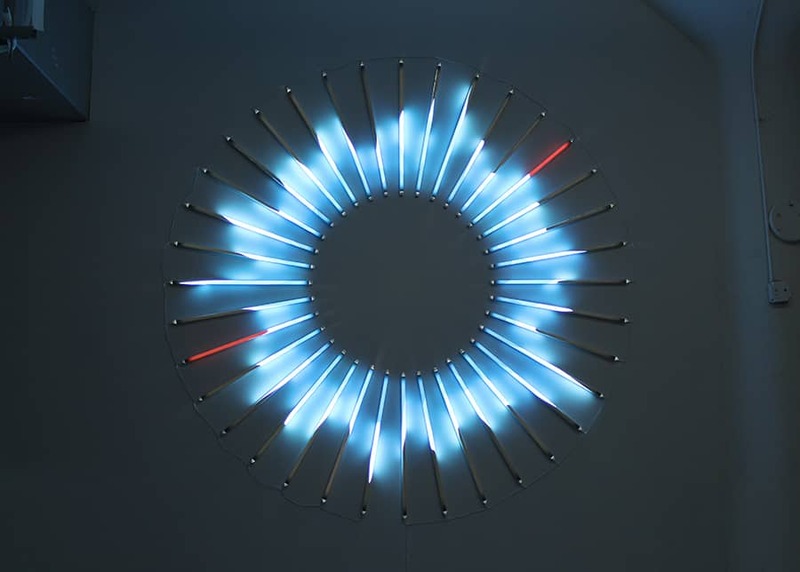 James Clar, an American artist using different mediums such as video, light sculpture and installation examines, through his oeuvre, technology’s influence in language and in our lives. During his sojourn at Dubai, Clar became acquainted with cultural and political systems diametrically opposed. Despite the city’s rapport with muslim customs, Dubai is considered as a child of the global era where the majority of its inhabitants come from foreign countries and where English is the second language spoken. The metropol significantly influenced Clar’s narratives, his piece Global English evidences English’s hegemony, “it’s use as the standard communication language”. The British writer George Orwell recognized too language’s relevance, in his book 1989 he imagined a society ruled by a totalitarian regime in which a new language was implemented – newspeak- to better control the population. Although we haven’t yet attained that point, the loss of dialects and (other) languages symbolizes the United States power over the rest of the world. At the same time English’s implementation narrows the logic spectrum homogenizing concepts, wiping off entire ways of thinking. Though technology is not demonized by the artist, he’s not eager about it either as he emphasizes the collateral impact of it in our daily basis. After Walter Benjamin’s opposition to the mechanical era, technology has largely surpassed any forecast made by philosophers or thinkers alike. Nevertheless, if someone predicted the ascend of media and its preponderance was the Canadian communicologist Marshall McLuhan. Even before internet’s explosion and the arrival of Facebook or other sharing platforms, he stated that from the moment man put a satellite into orbit, nature ceased to exist. This conception of the world where nature is man made is largely considered by Clar in his work. His installation River of Time reproduces an historical Ford model mimicking a waterfall, mechanical components blend together creating an artificial environment, natural and manufactured meet hence questioning innate rules. But if nature hasn’t ceased to exist, McLuhan’s poignant assertion insinuates in every possible way. As an example to this Clar pointed out artificial light’s effect in our day to day; natural light no longer dictates the dream cycle nor our activities. The information era is defined by a relentless stream of data discharging before our eyes all types of information. As we wrestle to cope with the incessant pile of available information, the latter becomes an aesthetic form. The Fire won’t stop, an artwork composed by a LED screen, a computer and a non conductive liquid streams a video on loop of a man on fire. The never ending action and its disposition makes it conflicted and absurd, we can’t help to question the real impact of technology in our lives. eXistenZ is paused furthers and interrogates the way our contemporaneous ecosystem is constructed. This particular artwork takes inspiration on the film Existenz by David Cronenberg in which a “virtual reality” game called eXistenZ replaces reality. The sequence chosen by Clar shows the two main characters in between two worlds, the game and reality. After Ted Pikul (the main character) decides to pause Existenz he experiences an odd feeling, reality feels less authentic and thrilling than the game. While the video is on a loop, an EEG sensor analyzes the computer’s own brain waves. Absurdity is prompted by a nihilist mechanism, over analyzation of waves and the infinite loop makes us question on technology’s real role. Machines have become “extensions of our beings and are metaphors – they are literal, not figurative”, nowadays technology isn’t a mere tool but a necessity. In between the fictitious world generated by technology, how can we differentiate reality from fiction? Our cellphones, televisions, ipads and every technologic product aids us in a world where the body isn’t the sole phenomenological indicative, machines are thus sensible extensions of our senses. Nevertheless, are they assisting or originating gaps? The French writer Albert Camus defined absurdity in his essay The Myth of Sisyphus as the “divorce between man and his life, the actor and the setting…”. When a man detaches himself from his habitat and ceases to establish a relation with his surrounding, he’s alienated and loses the purpose of his life. Once again Clar doesn’t preach for a return to a “natural” idealistic Arcadia but highlights the void generated by technology. Nodody’s Home produces an illusion of presence, behind the door we see what seems to be the shadows of people walking, but we soon discover the piece is playing upon our perception. In Clar’s oeuvre there is not arbitrariness or judgment, in the manner of scientists he restrains himself to study the collected information and present it to his audience. Clar’s design is not political nor moral as his objective is to build an aesthetic based on light systems. 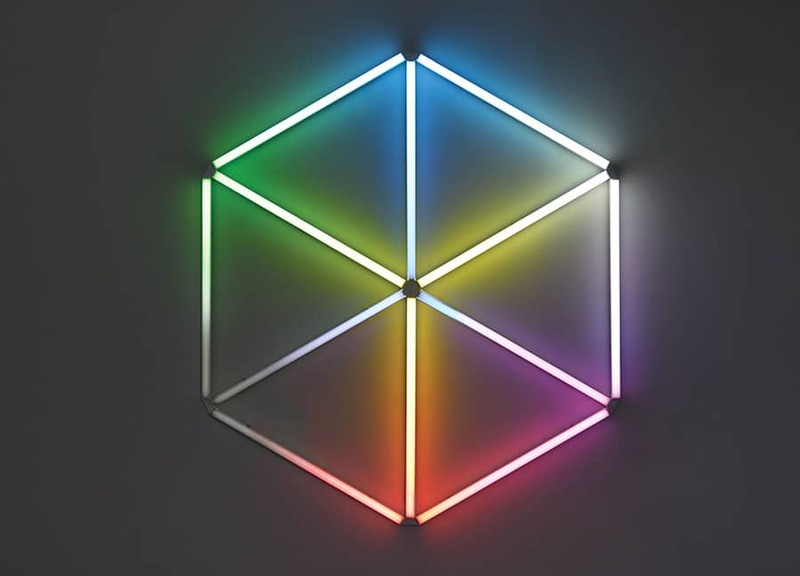 If Artists like James Turrell and Dan Flavin have already developed their own study on light what Clar has to offer is a new perspective on the matter. While Turrell’s approach is attached to a cosmogonic vision, Clar tries to give shape to the way computers understand light and life itself. His austere arrangements evoke the binary codes and the simplified language of machines. Cold and artificial forms populate Clar’s universe but does this means we’re witnessing a sensible revolution? Even though humanness prevails robotic faculties and mechanics are concocting new dialects and communication means. How is this affecting our topography’s memory? How is the human mind and eye transforming? Clar knows how to formulate questions without giving exact answers. Eamonn Doyle - "I, On , End"
After 20 years of hiatus, Eamonn Doyle has risen from the crowd with a fresh perspective to street photography. His work echoes the bustling sounds in the capital city of Ireland. 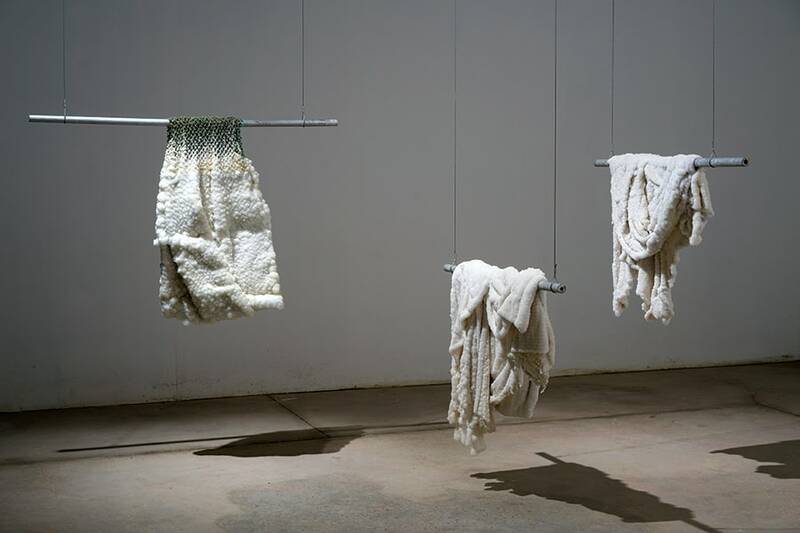 Contemporary Israeli artist Sigalit Landau explores Judaic symbols and Israel’s history. Via her artistic practice, the audience understands and is instructed on the current state of mind of the artistic ecosystem. The collaborative duo Aziz + Cucher revitalises the historical tapestry in contemporary art, documenting the bleak realities of our modern world.